Some things just can't be found in the Highway Code. I've noticed recently how difficult it can be for some pupils to grasp the idea of communicating with other drivers by means of signals, speed and position. Many pupils need something definite they can use such as a fixed distance from a junction to put on the indicator rather than considering what they are actually telling other drivers. Many pupils find it difficult to look directly at other drivers and thus miss out on looks and gestures that would give them quality information on what another driver intends to do. They will even miss thee obvious flashing of headlights and so miss the gap that was being offered. Apart from 'Mind Driving' by Stephen Haley there aren't any learning resources which deal with this kind of thing. A pupil recently had an issue on test with the timing of indicator signals. When changing lanes he will look into the door mirror with his fingers on the indicator stalk expecting other drivers to know telepathically that we want to move over to the right. I explained that putting the signal on can influence other drivers into doing what you want them to do which is either hold back and let you in or get passed quickly and allow you in behind them. No signal means no response so they will just sit along side you and prevent the lane change. Get that signal on before you try to move. There is no set time to put on an indicator. You have to look at the overall traffic situation and consider the message you are putting across when you signal. This is something learned by experience. When manoeuvring some pupils will keep moving in and out of reverse gear for no good reason. They do not consider that the revering light is being turned on and off so any driver sat waiting won't know what we are doing and may assume that we are abandoning the manoeuvre and driving on. They may get into gear and prepare to move off only to find the light is back on and we are actually continuing to reverse. I can see how this would be annoying. Pupils who tap the brake on and off instead of using one smooth application of pressure fail to realise that the brake lights are on and off which is confusing to following drivers. Brake lights are probably the most important signal there is when it comes to preventing accidents. Getting the brakes on lightly and early gives more warning to the following driver and increases safety. Flashing headlights is a bone of contention for me. I always teach pupils that it is only a warning of your presence and can be interpreted in many ways. The vast majority of pupils when asked believe that flashing headlights definitely means someone is letting you through and would proceed if someone flashed their headlights. Totally wrong and potentially dangerous but that's what people think. Eye contact is important. Being let out of a junction is easier if you turn your head and look at other drivers. Such a simple thing as this adds a touch of the personal I find and people are much more willing to let you out once they know you are looking at them. Pupils on driving lessons tend to avoid eye contact as a result of nerves and miss out on opportunities to proceed as a result. Arm signals from cyclists would be a welcome addition to the world of signals as they seem to be something of a rarity. So there. 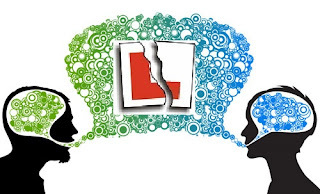 Have a good think about how you communicate with other drivers and explore how it can be improved. it makes driving a much easier and pleasant experience and fosters a friendlier attitude on the road. Word up.